Many people conjure up images of Wall Street when they think about hiring a professional investment advisor. Perhaps they even think of Los Angeles, Chicago, or other “big” cities known for their commerce and finance. 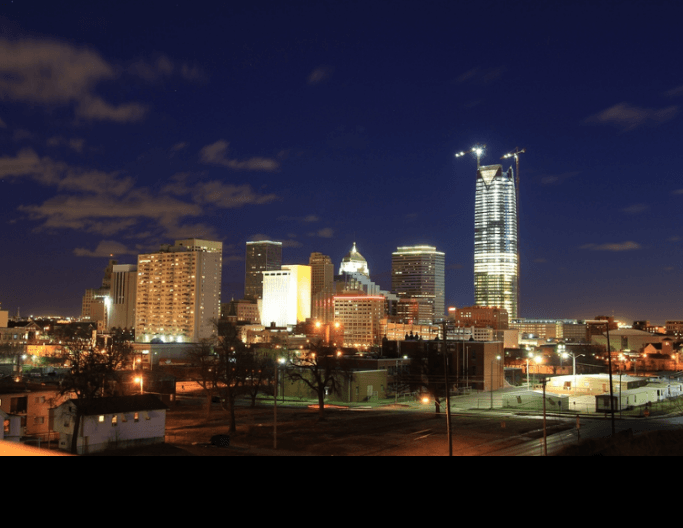 No matter where you live, you should expect high levels of expertise and service from a financial planner in Oklahoma City and Tulsa. Not only that, but you want a wealth management firm in Oklahoma City that takes its time getting to know you and your goals and financial needs – not to mention the needs of your family, business, foundation or institution, as well. This is exactly where our 2018 Ranking of the Top Wealth Management Firms and Financial Planners in Oklahoma City can help. We lay out in detail what you should look for in a financial advisor in OKC to ensure that they are truly putting your interests first in everything that they do. 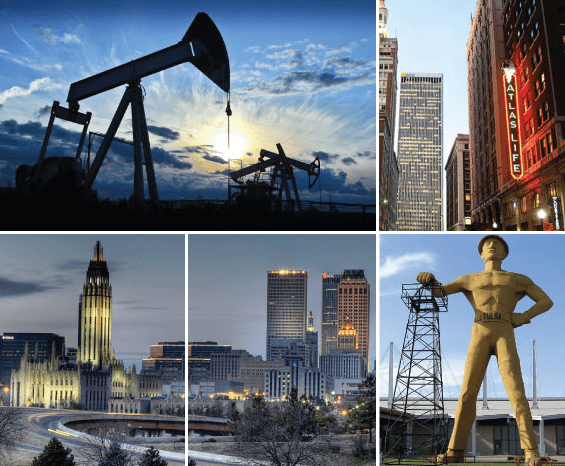 Read on for more of the methodology behind how we chose the best Oklahoma City wealth management firms as well as a listing of the top firms themselves. When it comes to choosing the best wealth management firms in Oklahoma City, there are plenty of firms to choose from. With so many options to consider, how can you narrow the search? First, take a close look at what each financial advisor in Oklahoma City has to offer, and match those services up with your own personal financial goals. As you will see in the following reviews for OKC financial advisors, each firm specializes in varying areas of financial planning and wealth management. If your needs are of a broader nature and you wish to have peace of mind through simple yet comprehensive financial planning, you may be well-suited with a financial advisor in Tulsa or Oklahoma City that offers a broader range of services. Once you’ve narrowed down your choices to a select few of these top-ranking wealth management firms in Oklahoma City, see if any of your selected advisors offers an introductory consultation session. Whether it’s a free or paid consultation, this can be a good way to “feel out” any prospective Oklahoma City and Tulsa financial advisors before committing to their services. Below, please find the detailed review of each firm on our list of best wealth management firms in Oklahoma City and Tulsa. We have highlighted some of the factors that allowed these Oklahoma financial advisors to score so high in our selection ranking. Founded in 1993, Align Wealth is an independent, fee-only Oklahoma City Registered Investment Advisor serving high-net-worth individuals, families, and small business owners. One thing that makes Align unique on our list of Oklahoma City wealth management firms is that it hires a third-party reconciliation firm to track and verify the firm’s investment track record. Clients can view this information upon request. Furthermore, Align can provide documentation on how the firm performed at any given point in time, replete with an array of market conditions. Additionally, Align advisors invest in the same assets that they recommend to their clients. They believe this demonstrates true integrity and true transparency. At Align, you won’t have only a single financial advisor working on your account. Instead, this entire team of financial planners in Oklahoma City will review your portfolio and offer insights into how to maximize your investments. This guarantees a more well-rounded plan than you’ll receive from your usual Oklahoma City wealth management firm. To further ensure that you receive the highest quality investment advice, Align goes the extra mile by partnering with Forum Financial Management and Dimensional Fund Advisors. Forum is an independent, registered advisory firm comprised of financial professionals like Certified Financial Planners, Certified Public Accountants, and more. Through this strategic partnership, Align is better able to work toward solutions that best address your financial needs and goals. By working with Dimensional Fund Advisors, Align connects with Nobel laureates and distinguished professors in economic and portfolio theory. This partnership puts Align on the front lines of economic and financial services development. It constantly receives the benefit of the research conducted by DFA’s board, allowing it to implement such research in a real-world environment with you, the client. Align does not earn commission, kickbacks, incentives or any compensation whatsoever from DFA for utilizing such funds. DFA is an exclusive fund sponsor, freeing up Align to choose other investments when they better meet your needs. Most of the Oklahoma City financial advisors on our list offer complimentary first meetings. These meetings typically consist of getting to know you and your goals, financial health, and a host of other issues. Align does the same for prospective clients, but with a helpful twist: It offers what it calls a “Second Opinion Service.” The goal of this service is to determine where you stand financially and whether you truly need their services, creating a truly client-centric approach. Additionally, if you aren’t satisfied with this Oklahoma wealth management firm’s work within the first year, the firm will refund all your fees. With an advisory model built on teamwork and a fee-only structure, Align is one of the best Oklahoma City financial advisors for investment, 401k, and retirement management. Founded in 2012, Cadent Capital Advisors, LLC is a fee-based financial advisor in OKC and Tulsa. Although Cadent Capital is a fee-based Tulsa financial advisor, we have chosen them for their commitment to independence, experienced team, and wide range of financial services. With over 100 years of combined experience in the financial industry, the team of advisors at Cadent Capital provide a well-defined process, a client-centric vision, and most importantly, firsthand investing and financial planning knowledge. Not only do these designations cover several areas of financial expertise, but they also require continuing education and keep advisors up-to-date on business and financial industry changes. For many clients, finding the best Oklahoma City or Tulsa financial advisor comes down to finding a firm that can grow and transition with them throughout multiple stages of life. As an independent financial advisor in OKC and Tulsa with a fiduciary commitment, Cadent Capital Advisors successfully mitigates the conflicts of interest that often follow fee-based advisors, demonstrating a strong commitment to client service. With an experienced team and a diverse range of financial services, Cadent Capital is one of the best financial advisors in OKC and Tulsa to consider partnering with this year. Based in Tulsa, ChartMark Investments, Inc. is an independent, fee-only financial planner that caters to wealthy individuals and their families, small businesses, and institutions. ChartMark places a premium on long-lasting client relationships. It is open and upfront about the fact that it wants to assume your goals, needs, and success as its own. As such, these Tulsa financial advisors will sit on the same side of the table with you to make your financial dreams a reality. When your needs change, these Tulsa financial advisors want to know as soon as possible, so they can adjust your portfolio and keep you on track to achieve your objectives. The firm aims to further your trust and deepen the client-advisor relationship through quality customer service, providing top-notch performance reports and ensuring that you speak to a real person any time you call with a question or concern. As a fiduciary, ChartMark is required by law to strive for what is best for its clients, not what is best for the firm. As such, these Tulsa financial advisors do not earn or accept commissions on any recommended products or services. If one of their financial advisors makes a recommendation, they do so free of ulterior motives and with your best interests in mind. With a fee-only mindset and a keen focus on helping clients achieve better financial health, ChartMark is one of the best financial advisors in Tulsa to consider partnering with this year. Exencial Wealth Advisors is an independent, fee-only financial advisor in OKC with a goal to empower clients to make intelligent, informed decisions about their finances. 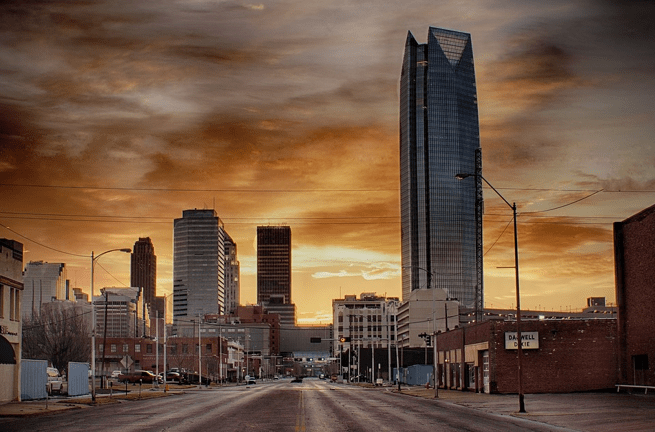 Through both personal and executive wealth management services, a financial advisor in Oklahoma City will sit down with a client to understand their goals, including their short-term and long-term plans. The process used by Exencial Wealth Advisors prioritizes giving clients the information and documentation they need to be aware of what is happening with their money. 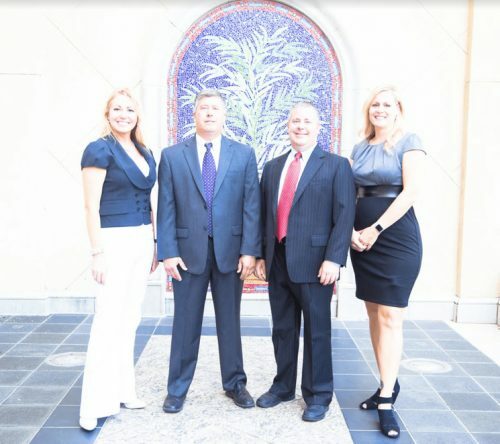 As an independent, fee-only financial advisor in OKC, Exencial Wealth Advisors represents the ideal partnership with a financial advisory firm. This means that clients can trust that all advice is unbiased, made truly in their best interest, and without hidden fees or commissions. With a comprehensive process that combines both investment management and financial planning, Exencial Wealth Advisors is one of the best financial planners in OKC to consider partnering with this year. Founded in 2007, Hughes Warren Inc. is a fee-only financial planner in Oklahoma City serving individuals, families, and small business owners. Hughes Warren meets with you one-on-one to review your financial health and understand your future goals. From there, your Oklahoma City financial advisor makes recommendations tailored to your individual goals. Several factors contribute to these recommendations, including your cash flow, taxes, risk tolerance, and existing investments. To make your portfolio as efficient as possible, Hughes Warren advisors emphasize diversification with a preference for no-load and load-waived mutual funds. However, the firm does retain the ability to manage the majority of investment types. Once your custom plan is implemented, your Hughes Warren financial advisor in OKC regularly monitors your portfolio performance and updates you accordingly. Your advisor rebalances your portfolio as needed. While Hughes Warren Inc. may be a smaller firm than competing Tulsa and Oklahoma City financial advisors on our list, a smaller team can provide a host of benefits for clients. Most notably, smaller firms are often widely recognized for their attention to detail and personalized service, which large financial advisors often cannot compete with. With a fee-only structure, fiduciary commitment, and a customized approach to investment management, Hughes Warren is one of the best financial advisors in OKC to consider partnering with this year. Established in 1998, InvesTrust Wealth Management is a fee-only financial planner in Oklahoma City serving foundations, corporations, endowments, corporate pension plans, and extremely high-net-worth individuals and their families. 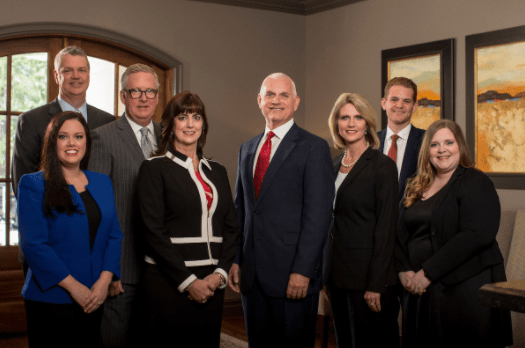 Not only is the team at InvesTrust impressively large, but these Oklahoma Financial Advisors have also earned an impressive range of industry designations and certifications. The Oklahoma City financial advisors at InvesTrust sport a diverse background in estate planning, banking, working with foundations, assisting non-profits, tax planning, and employee benefit plans, among others. Custodial: InvesTrust can act as a custodian for your money while managing the attendant transactions. Investment Management: In this capacity, InvesTrust seeks investment opportunities that fall within your risk tolerance and established time horizon. Whether conservative or risk-heavy, InvesTrust advisors can craft a plan to suit your preferences. Trustee: With this role, InvesTrust directly manages your wealth, typically in conjunction with an accountant, lawyer, and financial institution. Together, they also manage your surviving family’s financial needs. InvesTrust Wealth Management is one of the largest financial advisors in OKC on our list, consisting of six different financial teams, ready to lend their expertise on a variety of financial challenges. While the firm certainly has a wide range of experience and professional certifications, our review found that their website is missing key information that could help potential clients evaluate the firm. For example, there is no mention of InvesTrust’s investment philosophy, whether financial planning tools are included in wealth management, or even specific financial challenges or services that clients can expect from the firm. 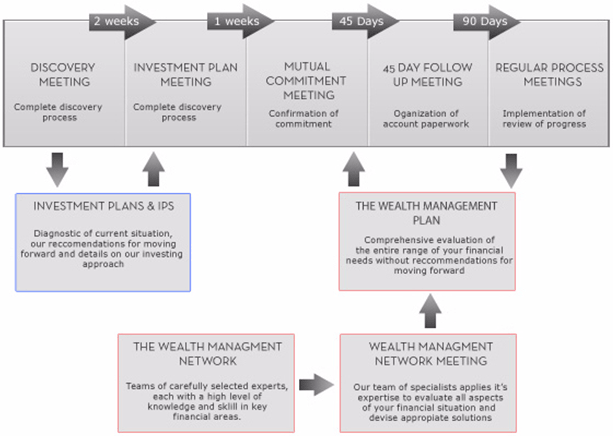 By including additional details about investment philosophy, specific financial services and approaches, and whether financial planning is included, InvesTrust Wealth Management can easily improve both their value proposition to clients and their rating as one of the best financial planners in OKC. Founded in 1996, Native American Fund Advisors (NAFA) is a fee-only financial advisor in Tulsa that was created to help tribal governments, corporations, foundations, pension plans, profit sharing plans, trusts, and various other tribal entities. NAFA does not squeeze clients into a pre-existing model portfolio. Instead, an investment strategy is created around your financial data and concerns. This guarantees a personalized financial plan that helps each client reach their specific investment goals faster. Factors such as time frame, risk tolerance, and desired rates of return are incorporated into your plan. From there, your Tulsa financial advisor manages your portfolio and rebalances it according to those considerations. Its aim is to keep you on schedule to meet your financial goals. This Tulsa financial advisory firm never exceeds your risk limit in favor of higher rates of return, nor will it depart from your agreed-upon investment approach without your approval. Likewise, NAFA will calibrate your plan according to your requests or changes in your financial situation. As a fee-only financial advisor in Tulsa, Native American Fund Advisors provides clients with the benefits of unbiased, conflict-free advice, creating a strong foundation of trust and transparency. While the firm’s investment management services and expertise certainly are strong, our review also found a full suite of financial planning services that are not listed on the firm’s website. When looking for the best Tulsa financial advisors, this lack of information makes it challenging for potential clients to fully—and fairly—evaluate the full breadth of NAFA’s capabilities. By including information regarding financial planning services on their website, NAFA could easily improve both their value proposition to clients and their rating as a top financial advisor in Tulsa. Retirement Investment Advisors, Inc. is a fee-only Oklahoma City financial advisor with satellite offices in Edmond, OK, and Frisco, TX. The firm was founded by Randy L. Thurman and Joseph W. Bowie in 1990. 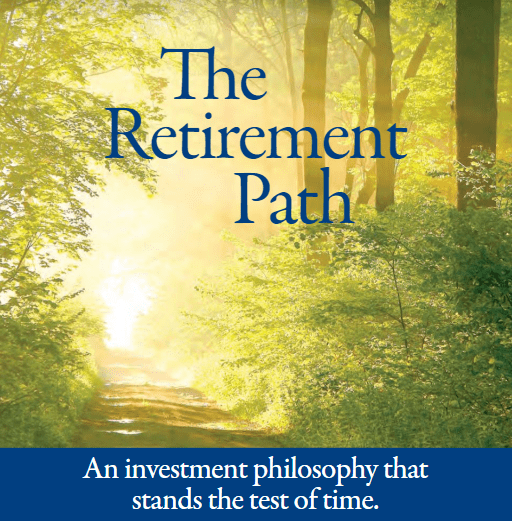 Retirement Investment Advisors poses a series of questions to get to the bottom of how you must structure your investment strategy to meet your unique, individual goals. How much are you starting with? How long do you want your money to last? How much do you want to end up with? How much return will you get on your investments? How much do you want to take out each year? Once you complete a complimentary consultation with your OKC financial advisor, you will receive a recommended strategy sized to your needs. Upon approving your plan, your financial advisor in Oklahoma City opens your accounts. You then work regularly with your advisor to review your accounts and rebalance them as needed. To provide a more customized service, Retirement Investment Advisors can craft your financial plan with input from your existing team of consultants and advisors. The Oklahoma City financial advisors at Retirement Investment Advisors have undergone training in several disciplines to help them perform their jobs better. These designations require continuing education and keep advisors up-to-date on industry changes. Retirement Investment Advisors is an independent fiduciary whose recommendations are unbiased and made with their clients’ best interests in mind, establishing a strong foundation of trust and transparency. The firm also maintains a strong commitment to ongoing education, both for their staff and their clients, providing a wide range of educational resources and tools. With a fee-only structure and a commitment to empower clients through improved financial literacy, Retirement Investment Advisors is one of the best Oklahoma City financial advisors for investors of all skill levels to consider partnering with this year. 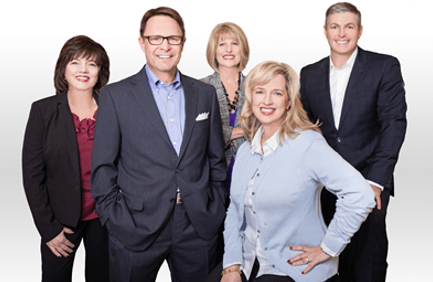 Founded in 2000, The Legacy Financial Group, Inc. is a fee-only financial advisor in Tulsa. The firm specializes in creating unbiased, customized, and conflict-free financial plans for individuals, business owners, foundations, and trustees. Planning for retirement is perhaps the most important reason to manage your wealth in the first place—but with that said, it is rare to find a financial advisor that outlines what exactly you need to think about in retirement. Legacy outlines all the elements that individuals need to consider, going far beyond choosing which tax-advantaged retirement savings account you should be contributing to. Your Tulsa financial planner will also help you decide between employer-sponsored qualified plans, compare traditional and Roth IRAs, and help you answer questions about other topics related to retirement like Social Security. The Legacy Financial Group believes that portfolio management is intricately tied to the client’s financial plan. As such, all financial decisions are geared towards meeting their stated needs and goals, whether it’s retirement planning or funding their children’s educations. As a fee-only financial advisor in Tulsa with a fiduciary commitment, The Legacy Financial Group provides clients with the highest standards of trust and transparency, two key elements in any successful financial planning relationship. 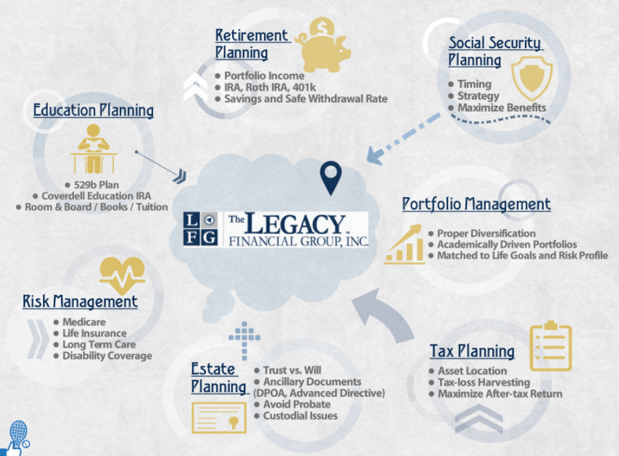 With a comprehensive approach to wealth management, The Legacy Financial Group is one of the best financial advisors in Tulsa for clients that want in-depth retirement planning services. Warburton Capital Management is a fee-only Tulsa financial advisor registered with the SEC. Warburton’s client roster is limited to a small number of business owners and professionals, both working and retired. New clients are added only after a thorough discovery process that determines whether Warburton is the best fit for each client. Warburton impressed us because of its commitment to the fiduciary standard. Rather than strengthen its own revenue stream, it wants to preserve and grow your wealth first and foremost. It is not successful unless you’re successful. The firm is independent and does not accept commission unless a client approves of it and it is in their best interests. In these ways, Warburton eliminates any potential conflict of interest and allows you to receive trustworthy advice. Otherwise, the firm is compensated by fees earned from a percentage of assets under management (AUM). To best serve their clients, Warburton also utilizes a “Resource Team” to help address key issues in your portfolio. This network is comprised of specialists experienced in the financial services industry, such as accountants, insurance experts, lawyers, and more. Along with your Tulsa financial advisor, these experts will review your portfolio and offer solutions for maximizing your investments. With a fee-only structure and a comprehensive range of services, Warburton Capital Management is ultimately interested in forging and maintaining long-term relationships with their clients. By providing attentive customer service and applying financial expertise, they want to not only help you react to life’s many changes, but to anticipate these transitions and hardships as much as possible. As evidence of Warburton’s ability to accomplish this, it boasts a 96 percent retention rate, solidifying the firm as one of the best financial advisors in Tulsa to consider partnering with this year. The truth is that you don’t need a high-powered, big city firm to help you make sound, successful investments. 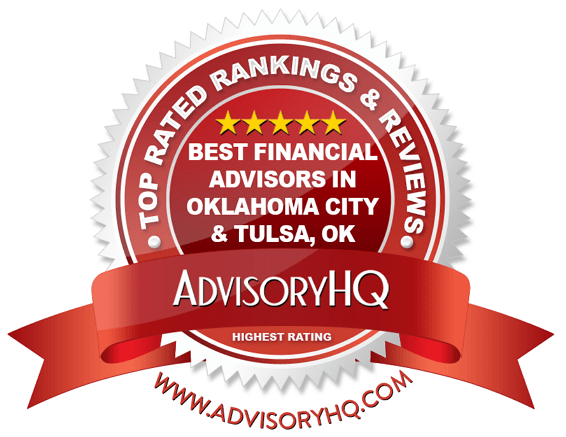 Whether you live in OKC or Tulsa, there are plenty of high-quality Tulsa and OKC financial advisors to choose from. The question that remains is which one should you choose? Each financial advisor in Oklahoma City or Tulsa will have requirements, such as minimum investable assets, or personal preferences, such as distance and proximity, that preclude certain advisors for you. Otherwise, the best course of action is to schedule a discovery meeting with a few Oklahoma City financial advisors to determine if you are a good match for each other. Chances are that you’ll mesh with at least one of these Registered Investment Advisors in Oklahoma City and Tulsa. The choice on how soon you begin that new advisor-investor relationship is up to you. The first call is free and, in many cases, so is the first meeting. Don’t wait another day to secure a stable future for you, your family or your business.